I keep meaning to get this since it's written by Joe Kelly. Glad others are recommending it. Occupation: Girl. Because Cleo is hilarious and talented. 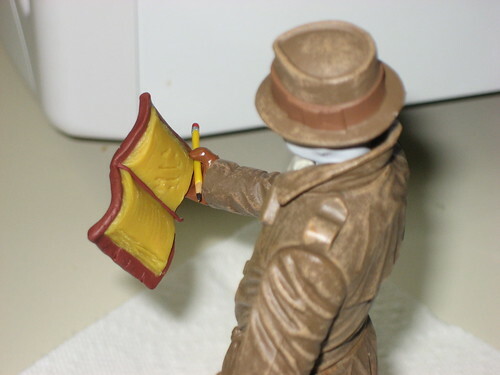 High: I made a tiny clay model of Rorschach's journal, and it does, in fact, fit in Tiny Rorschach's Toy Hand. Low: Still unemployed and broke and annoyed about it. Matthew Good. The new album's streaming on his site right now, and it's fantastic. (http://www.matthewgood.org/) I recommend "On Nights Like Tonight."